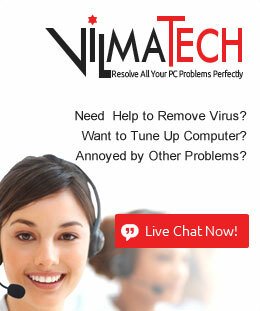 VilmaTech.com > VilmaTech Blog > How to Watch YouTube Videos Not Available in Your Country? Don’t know how to Watch YouTube Videos Not Available in Your Country? Most of you may have experienced a situation that when traveling outside of your country and want to watch some funny videos, there is a message telling you that you can’t watch the video. For example, you can watch video on Youtube with no problem in United States but if you are going to China, Youtube is not working. The video is blocked and it shows “YouTube Videos Not Available in your Country”. The reason you get this error is YouTube has region locked filter and this videos are restricted by Geographical location and are only available in some countries. Is there any way you can watch blocked Youtube videos in your country? The best solution to fix the problem is to use a reliable VPN Service that helps bypass the restriction. Keep reading below to find out the best VPN for YouTube. YouTube was first launched in 2005 and then it has quickly become the NO.1 destination for video content online, attracting over 1 billion regular users. Currently this free video sharing service is one of the most popular sites on the Web, with visitors watching around 6 billion hours of video every month. It can be easily accessible from a computer, TV, tablet or smartphone. YouTube was created by 3 former PayPal employees in February 2005. They are Chad Hurley, Steve Chen, and Jawed Karim. And then Google bought the site in November 2006 for $1.65 billion, so YouTube now operates as one of Google’s subsidiaries. At this platform, users can watch, like, share, comment and upload their own videos. Available content includes music videos, short and documentary films, audio recordings, TV show clips, movie trailers and other content such as video blogging, short original videos, and educational videos. You also can earn money directly from YouTube, as the site shares some of the revenue it makes from companies who pay to run adverts before or over your video. According to a recent study, young teenagers prefer watching YouTube videos than TV because they consider YouTube influencers more relatable than traditional TV and movie stars and Youtube is also a good place for them to discover new things, learn and get entertainment. Despite YouTube is the world’s most popular online video site, their service is not accessible in every country in the world. When you go to a country that YouTube is not available, you will be greeted with the message: “The video is not available in your country.” And some YouTube videos are restricted by location. For example, BBC’s content is only available to UK residents, while US cable channels are only available online if you’re in the US, and so forth. So, how to watch YouTube videos not available in your country? Luckily, you can get a VPN to help you bypass this regional filter, and watch any YouTube videos you want to, regardless of your location. Tips: ExpressVPN has high-speed servers in more than 90 countries and uses industry-standard 256-bit AES encryption to encrypt your traffic. It supports OpenVPN, L2TP/IPSec, PPTP and SSTP protocols, giving you the high level of security. In addition, the service keeps no activity logs and no connection logs, so your internet activity stays between you and the sites you visit. It is a perfect choice for you to fix “YouTube videos not available in your country” error and access YouTube at work, at school, and anywhere in the world. Why Are Some YouTube Videos Blocked in Other Countries? When YouTube videos are not available, that could be caused by many reasons. The common reason is that YouTube uses your IP address to determine your location. For example, some YouTube videos are only allowed to be viewed by people living in the United States, and if you live in Australia, then thing is not working, not to mention if you go to China, where Youtube has been blocked by the Great Firewall of China since 2009. Sometimes the YouTube video is not available because YouTube may block specific content in order to comply with local laws. In addition, many companies will use a firewall to block YouTube on office networks to keep employees focused and the school networks may filter YouTube to stop students from watching videos during class. Whatever the reason is, you need to use a VPN to bypass the restrictions on YouTube. What’s a VPN? Why You Need it? Virtual private network (VPN) is probably the most useful method to unblock YouTube in any cases. It provides people with an anonymous web browsing experience and ensures that none of their confidential information is being logged, monitored or exposed and intercepted by third parties. When using a VPN, it protects against cyber criminals and secures an uninterrupted streaming experience with no bandwidth throttling or buffering. A VPN also makes users stay anonymous and untracked on any website from any locations and lets them bypass restriction. Therefore, when you try to watch YouTube videos not available in your country, you should connect to a VPN first. A VPN reconnects your device to the internet through a remote server where your desired websites are not blocked. It allows you to route your internet traffic through a private, encrypted connection and creates a “tunnel” over your internet network to let you access any websites. With a VPN, you can defeat restrictions that stop you from enjoying YouTube videos you want. Simply connect to a VPN location that is not blocked, and you’ll be enjoying the funny video at YouTube in no time! How To Choose a VPN to Unblock YouTube Video? There are plenty of VPN services in the market, some advertise ‘free for use’ while others cost you money. If you want to fix the ‘YouTube Videos Not Available in Your Country’ error, you should first avoid free VPN services because you will run into unreliable service, poor access to server locations, slow speeds, long wait times, and more problems. Sometimes it may ask you to pay for another thing, or even disclose your personal information or browsing activities to third parties. Stick to a reliable VPN service though you may need to pay a small money for it. The return is worth it. A trusted VPN can change your IP and let you discover the best of YouTube worldwide. Encryption & Protocols: The strength of the encryption determines whether your data and activity are actually secure or not. Currently there are essentially two strengths of encryption, 128- and 256-bit, with the latter of the two being the strongest. On the other hand, a VPN protocol determines how your data travels between your computer and the VPN server. The most secure protocol as of now is OpenVPN, and most of the top VPNs support it. If your VPN only provides PPTP support, then skip it. PPTP is fast, but far away from secure. Sever Locations: When selecting the best VPN service you should consider the server locations that the provider offers. Why is it so important? If you connect to a VPN server location that’s quite far from your own geographical location, you might experience slower connections. The more locations it provides, the better experience you will get. Also you should a VPN that offers server that has “P2P support.” As we all know, P2P isn’t allowed in all countries and in some places, it’s actually illegal. So, choosing a reliable VPN providers and it will clearly mention which servers offer P2P support for legal torrenting. Cross-Platform Support & Multiple Connections: Today, people use smartphones, tablets, Smart TVs, Fire Stick, Kodi, gaming consoles, etc. to connect to the internet. It is important that your VPN supports as many devices and operating systems as possible and allows simultaneous connections. It can save you a lot of money. 24/7 Customer Support: Customer service is always important to an organization because it can help differentiate a company from it competitors. A good VPN service provides not just email and ticket support but also 24/7 live chat support giving users uninterrupted, real-time online customer support. A Money-Back Guarantee: Whenever you pay for a service, you definitely want to make sure that you get your money’s worth back. Although Free VPNs do not charge you money, it poses a risk for your identity, data, and activity. Also there are bandwidth and server limitations with them. When choosing a VPN, a money-back guarantee is quite needed to protect customers’ rights. If you are not satisfied with their service, ask for a refund within the period of time. You have nothing to lose. Here we will give you the top five best VPN services to let you watch YouTube video not available in your country. Say goodbye to the restriction & Start to enjoy the funny video on YouTube from anywhere! ExpressVPN is the top recommendation with a huge network of 2000+ global VPN servers optimized for fast connections from 148 cities in 94 countries. With unlimited speeds and unlimited server switches, you can connect from anywhere in the world. Follow a local YouTube celebrity, stream a regional e-sports final, or see what’s trending somewhere else in the world. It’s all possible with ExpressVPN. Now the service is compatible with almost all major platforms and devices, including Mac, Windows, Android, iOS, Linux, Chromebook, Kindle Fire, PlayStation, Apple TV, routers, and it allows 3 simultaneous connections. ExpressVPN comes with a kill switch, along with security protocols like OpenVPN, L2TP – IPSEC, PPTP, and SSTP, and utilizes strong 256-bit encryption, giving you the safest way to unblock YouTube from anywhere in the world. Get 12 months ExpressVPN subscription and 3 Months free now! With the exclusive ExpressVPN discount, the price is down to $6.67/month. If you’re not satisfied using YouTube with ExpressVPN for any reason, contact the support team within 30 days and get a full refund, no questions asked. Unblock YouTube Video in your country with ExpressVPN now! IPVanish owns and operates its own network of more than 1000 servers in over 60 countries. It’s quick and stable connections allow you to binge watch Youtube without any dropped connections or buffering. It is also the only true Top Tier VPN service in the world. The provider comes with excellent security and privacy, it uses 256-bit encryption as standard and offers a kill switch, which will cut your internet connection automatically if the VPN connection goes down to help prevent any data leaks. With one single account, you are allowed to have 10 simultaneous connections on multiple devices. That’s more than enough to get your fleet of PCs, Macs, mobile phones, tablets, games consoles and TV streaming devices covered, in addition to whatever you use for YouTube away from home. Now IPVanish is providing a big discount 69% on their 2 years plan, and also offers an extra 20% off coupon code for new customers on all plans. Grab the discount and unblock YouTube with IPVanish for as low as $3.74/month! NordVPN has excelled in establishing itself as one of the most secure VPNs around. It offers over 5100 servers to choose from 62 countries so you can always find the best speeds for watching videos on YouTube with no annoying buffering or loading. It not only helps unlock all restricted Youtube content, but also protects your private data at the same time, with the AES 256 Bit Encryption, kill switch, Onion Over VPN, CyberSec security features. NordVPN has strict no-logs policy meaning that none of your Internet activities can be monitored or censored. NordVPN is probably one of the best values on offer, allowing up to six simultaneous connections on a single basic subscription. Get 2 years of NordVPN for just $95.75. It is equal to $3.99/month! ZenMate VPN is trusted by over 45 million users and is the best tool out there for unblocking geo-restricted content found on the web. It offers over 3000 IPs in over 30 countries, making sure your connection always reaches its destination through the safest, most efficient route possible. It uses the unbreakable AES-256 encryption to protect all your internet traffic against ISP, government, hackers and snoopers. Easy-to-use apps are on offer for Windows, MacOS, iOS, and Android. 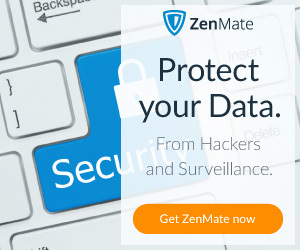 ZenMate doesn’t log any of users’ data, so no one, including the company, can track your online activity. Get a year of ZenMate for $71.99, saving up to 40% immediately! VPNArea VPN has proven itself as the fastest VPN service provider around with hundreds of servers in 70+ countries. Simply click Connect button, and restrictions fall like dominoes. You’ll no longer be a victim to any irregular restrictions imposed by web sites, streaming platforms, internet supplier or firewalls. You won’t experience lag or content blocks while watching YouTube video in your country because there is no bandwidth limits and ISP throttling. Enjoy the best streaming experience on all main platforms from Windows, Mac and Linux computers to smartphones and tablets running iOS or Android with VPNArea now. You can save up to 50% if you sign up today. Tips: ExpressVPN is the best and most trusted VPN service with ultra-fast speed and stable connection. It is the top recommendation for all internet users to access internet-censored websites and apps from anywhere around the world. With ExpressVPN, you can watch YouTube video that are not available in your country. Not only for that, all the other Google services like Google.com, Gmail, Google+ and social networks like Facebook, Twitter, Instagram can be unblocked with ExpressVPN in a second. You also can access messaging applications like WhatsApp, Skype, Line from anywhere of the world. Enjoy unrestricted access to all your favorite channels, streams, content creators and videos with ExpressVPN now. Your purchase is covered by 30 days money-back guarantee. Try the best YouTube VPN risk-free!